M. S. Electrical Supplies has been located at 53-54 Eirw Road on the main road into Porth since March 2005, and supplies both the Trade and the General Public alike. Having traded as M. S. Electrical Installation since 1986, we have extensive knowledge and practical experience of Domestic, Commercial and Light Industrial electrical requirements. We are primarily suppliers of a wide range of electrical stock which would include Switches / Sockets / Mains Units / Showers / Internal & External Lighting / Extractor Fans / Security Alarms / Cables / Flex / Trunking / Conduit / Armoured Cable / Energy, LED, Fluorescent & Halogen Lamps etc. In addition to this, we are also stockist's of a large range of Hi-Fi audio and TV video leads & accessories (inc. High Definition), as well as P.A. 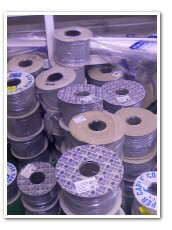 & instrument leads & equipment. 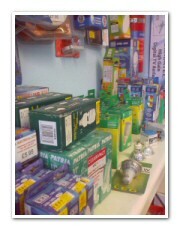 Also stocked is a range of computer, telephone and broadband accessories & adaptors, etc. Travelling up from Pontypridd & Cardiff, the shop can be accessed off the new road by taking a right turn off the ‘New Road’ by ‘The Lodge’ pub and is located 300 yards on your left. Travelling down the Rhondda Valley it can be also be accessed on the ‘New Road’ by turning around at the Rhondda Heritage Park and taking a right turn off the ‘New Road’ by ‘The Lodge’ pub and is located 300 yards on your left. From the Cymmer & Glynfach area it is a simple right turn at the old YMCA building & is located 200 yards on your right. From Porth Town Centre it is a right turn at the bottom of North Road by the Llwyncelyn Pub and taking the left lane over the hump back bridge & is 300 yards on your right.